Welcome to the wonderful week of September 19th! I hope you are ready for another 5 days of math & science FUN! 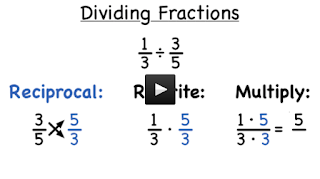 In addition, check out this division of fractions practice sheet (the answers are found on the bottom). Our science studies will focus on the exciting world of plate tectonics! Over the next two weeks you will definitely understand why some people refer to our planet as being "restless"! After a lesson on Monday and Tuesday about plate tectonics, you will have a chance to do your own research on the topic. There are many awesome tools on our science shelf that I will show you, as well as some online sites that offer mounds of information about plate tectonics. Use the following choice sheet to help guide your research. You will have two assessments associated with your work on plate tectonics. First, a vocabulary quiz this Friday. Second, a final test on Friday, September 30th. Use the following vocabulary list and study guide to prepare. It's time for your next bi-weekly progress report! It will be sent home this week. Please review, sign, and return it to your homeroom teacher the day after you get it. It's also time for October book orders. Please place your order online by September 28 at noon, so I can be sure they are delivered by early October (I know a number of you will be ordering spooky stories to get in the spirit of the season)! Click HERE to place your order. My homeroom code is HBZB3.